You will never be able to really play the piano unless you do it with both hands. For a lot of people, this seems like a big stretch, and they often struggle to do it properly. Some even refuse to learn how to do this; they opt to keep things down to a minimum, and play only the simplest of compositions with only one hand, or with barley including the other one. But there a problem with this, because playing piano with one hand – is not proper playing. In fact, it shouldn’t be even considered playing; it like playing the guitar with only one hand, by holding down the chords but not strumming the strings. 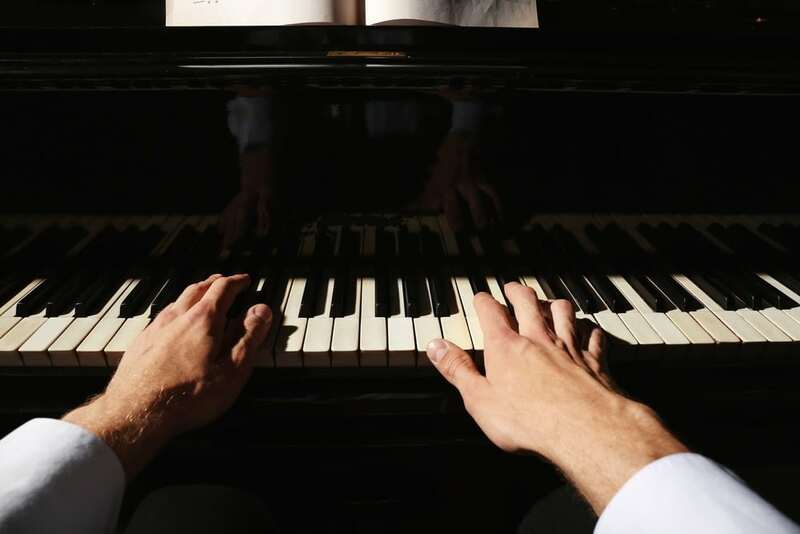 Although it may seem hard at first, and it may put you off a little bit, the only way you will ever become a full-fledged piano player is by learning to coordinate your hands and use both of them while playing. The good news is – it’s not as hard as you think. 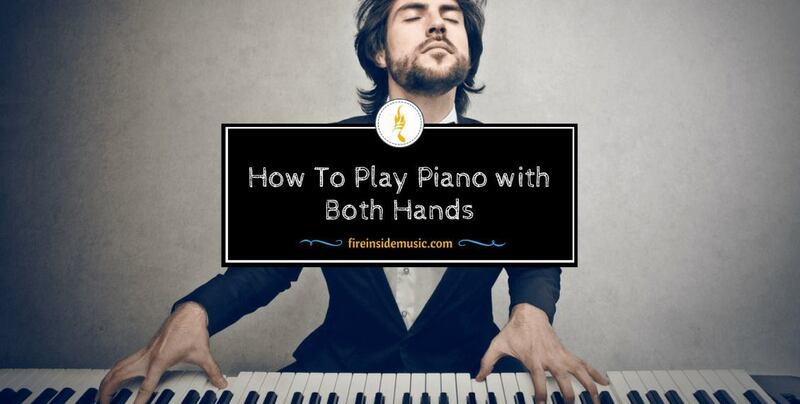 In this article, you will quickly learn how to play piano with both hands simultaneously. This sounds paradoxical, but it isn’t. 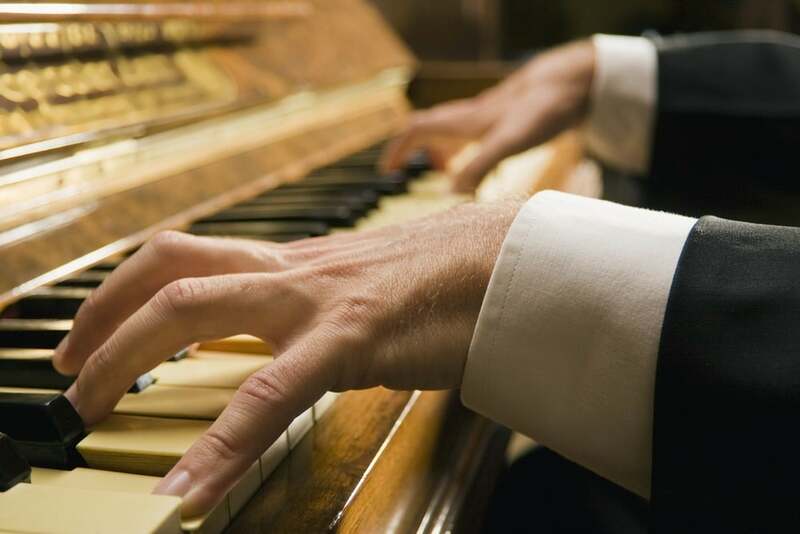 In order to play properly, you need to use both hands – so why separate them at all? Well, because it’s necessary in the beginning. You have to make sure that each hand functions properly on its own, and only then combine the two into a winning team. First of all, make sure that you sit properly, and that your hands assume the correct position on the keyboard. This includes not sitting to close to the piano, loosening up the wrists, etc. After you’ve done this, start practicing. The best way to practice is by learning the scales. If you already know them, then you can go up and down a scale, a couple of times. This should be both major and minor scales, as you want to become proficient in all of them, and you should be comfortable playing the black keys as well. The best place to start is the middle C, because it’s widely considered as the basic scale – but it’s only the beginning. After playing the middle C, branch out and cover all the scales you know. You may start with your right hand, but it doesn’t have to be so – you can start with your left, just as well. But the important thing here is to focus on one hand at a time. After you’ve finished practicing one hand, switch to the other one and do likewise. Your playing should be smooth and gentle, without any sudden breaks or too much force coming from the fingers. This is something that cannot be skipped – if you don’t play well with only one hand, chances are you won’t be playing well with both hands either. So, be sure to control your playing in the best possible way. Many aspiring pianists neglect the fact that playing slowly is the best way toward great playing – that’s why a lot of them make little to no progress on their instrument. There is no need to rush things – take your time and master every step in the learning process, because that’s how you’ll turn into a good, or even a great player. Obviously, it’s pretty hard to keep your hands coordinated while playing, but one of the reasons for this is that the brain has to process a lot of information, and the “frame rate” of your playing is just too fast. However, if you start slow and gradually add more speed along the way, the brain will have enough time to subconsciously accept all there is. Here we come to the notion of muscle memory. Muscle memory is a way of remembering things, and it’s amazing how much our brain remembers only by “relying” on muscle memory. Actions such as riding the bicycle, or swimming, are also a kind of muscle memory – and it’s the same with learning to play a musical instrument. The brain remembers the “path” muscles are taking, and accepts that state of affairs as normal and, in a way, easy to do. This is the reason why professional piano players are better than amateurs of novices. They don’t have a hidden talent, or a special set of skills – they’ve simply developed better muscle memory, that’s all. The best method for developing good muscle memory is by practicing as often as possible, but there’s also another thing. You’re not just required to practice a lot; you should know exactly what it is you’re playing. Otherwise – you’re simply hacking away at the piano. However, in order to know exactly what you’re playing, you have to start from square one, which means – start slow and don’t rush it. For example, when you’re playing a scale, don’t play it in five seconds, even if you’re able to. Have a two-second break between every note, and make sure to keep a steady tempo. Do this a couple of times, and then lower it to one-second breaks between notes. Finally, play all the notes in a scale normally, without the big breaks. Even if you don’t notice it right from the start, this method will help you immensely. You’ll be able to hit all the right notes with more precision, and your confidence as a player will also be stronger. The same thing goes for playing entire compositions. You can slow a song down two, three times, and make sure you play every single bar of music properly. Once you speed it up to its original tempo, you’ll notice how your playing becomes more fluent and controlled. Let’s assume that you separated your hands during playing, and that you’ve learned how to control the tempo of a song because you’ve practiced slowing down and then speeding back. 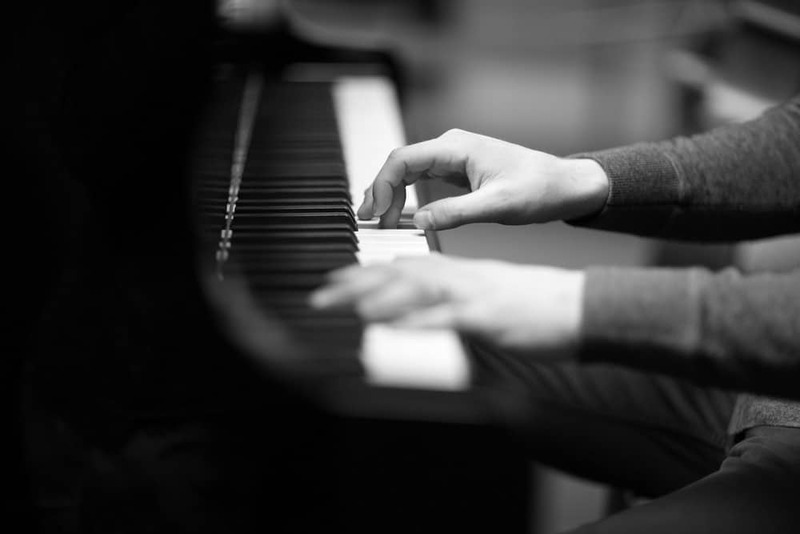 Now, you should use these skills and rethink the whole philosophy behind playing the piano because – it may not be all that good for your progress on the instrument. The problem with a lot of players is that they see their hands as two separate entities that just happen to play together. However, the reality is completely different. 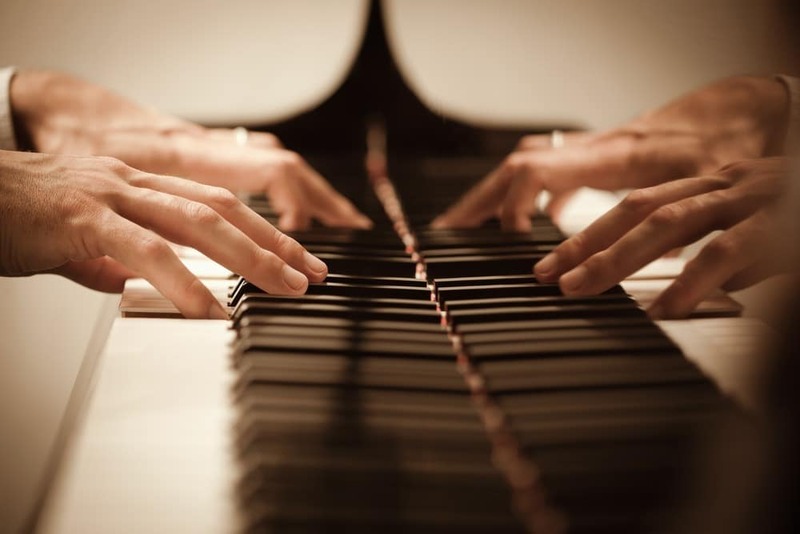 You should look at your hands as separate “players”, but as a group of ten fingers working together toward a single goal, which is – playing all the notes correctly. Don’t think about two sets of five fingers, think about one set of ten fingers. Of course, this is easier said than done, but with enough time and persistence – you will get there, for sure. In order to practice this new “frame of mind”, you can do the following: start playing with both hands simultaneously. You’ve managed to play with your hand separately - now you should join them. Again, don’t rush things, you’re not running a race. Start slowly, by playing scales and simple phrases. Then, you will move on to more complicated pieces. A good way to start is by playing the same scale in a different octave, with two hands. For example, find a C note, and then go up (or down) one octave, to find the same note in a different position. Then, start slow – very slow. This cannot be emphasized enough, but it’s essential to proper playing. Start playing the notes together, with as much time in between as you need, and finish the scale. Then, go backwards and return to your original position. Suddenly, things won’t seem so hard after all. You’ll be able to play with both hands at the same time, which will be a great boost for your advancement. You can use the same practice for playing chords. Find two chords that are the same, and play them together. Then, find the relative minor, or the dominant, and play it. If we use the C major chord as an example, its relative minor would be A minor, and its dominant – G major. So, now you can play three chords with two hands simultaneously! First, play the C major, then A minor, go to G major and then return to C major..
Do this a couple of times, and you’ll notice how your proficiency improves. Do this with other chords as well, so that you can feel the dynamics of it all.. When you’re hands are playing in unison, you’re able to control the sound you’re producing with more precision. Also, it enables you to focus on reading sheet music, without losing track of what your hands are doing. From this point on, you’re allowed to be creative and combine what you’ve learned into unique practice patterns. You can play a C major chord with your left, and then go through the C major scale with your right while the chord is still resonating. Then, go vice versa, playing the chord with your right and the scale with your left. Also, you can first play the scale with both hands, and then hit the chords afterwards. The possibilities are manifold, so make good use of them. As you go along, you’ll find new material easier and easier, and that’s a real paradox in itself. The structure of the compositions will get more complicated, but you’ll be able to play it with ease, because you’ve mastered the hardest bit, and that’s – getting both hands to work together. Now, it’s time to move on towards something even more advanced, which will enable you to play different tempos. Take any scale, or any chord and play it once. Then, double every note, and play it again. For example, if you’re playing the C major scale, instead of playing C, D, E, F, etc. – play C-C, D-D, E-E, F-F and so on. Of course, by this time you should be able to play with both hands quite easily, so that this new method comes as a plus. This was note-doubling, but after a while you can go one step further and quadruple every note. This basically means playing it four times before moving on to the next note. By doing this, you will take your tone-control to another level, because you will practice equal finger-pressure on one key multiple times. Why is this so important? There are a lot of ways you can benefit from this. First of all, it builds up your muscle memory, and it’s something you can never have enough of. Then, it sharpens your focus and strengthens your playing power. Also, by doubling and quadrupling notes, you will be able to improvise much better, and play melodic lines with ease. This is especially true for genres such as jazz and blues. In jazz and blues, a lot of improvisation boils down to repetition; you will need to repeat a note several times, or you will need to hit one chords time and again, especially when playing rhythm. All of this will be better achieved if you double and quadruple without any problems. Whenever you’re starting something new, it’s bound to move slowly. But this is only in the beginning later on; it’s much better and easier. It is the same with playing the piano. If you have enough determination and persistence, you will be able to coordinate your hands properly, and your playing will definitely improve. The steps we presented to you are excellent for practicing hand coordination, but they’re nothing if you don’t practice enough. It doesn’t have to be too much at first, but it should be conducted on a regular basis. Set up weekly practice sessions and follow them through. Don’t think about making progress, just practice – progress will come on its own, eventually. 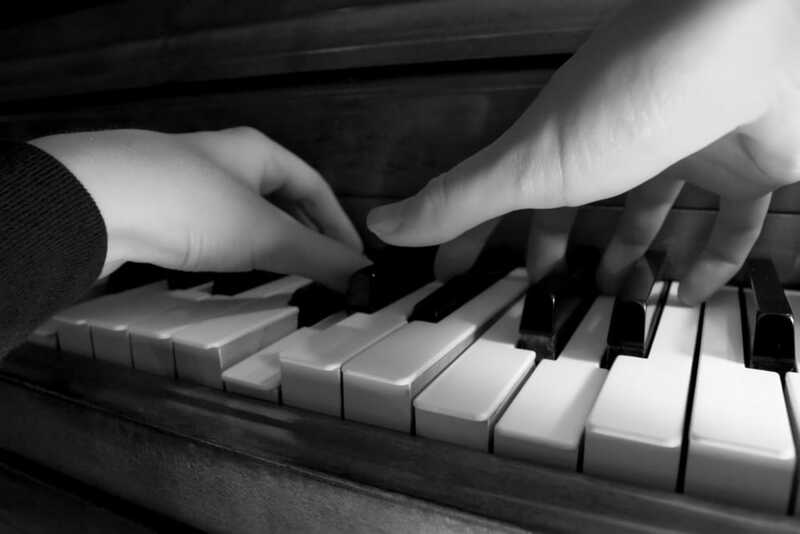 By sticking to your practice schedule and by following the steps from this article, you will definitely develop better hand coordination and improve your piano playing.